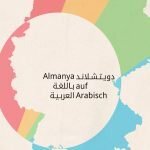 First Seminar of „Almanya in Arabic“ on December 1 to 3, 2018 – DOZ e. V.
As part of the project „Almanya in Arabic – seminars for refugees about the life in Germany“, DOZ e.V. organized the first three-day seminar from December 1 to 3, 2017 at Dresdner59 in Leipzig. 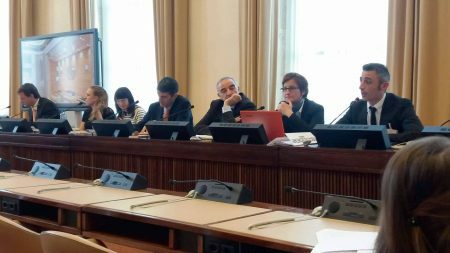 The lecturer Samer Assaf is from Syria himself and has broad experiences in integration work due to his work as psychologist and therapist. The first day started with a short introduction of the participants, where they explained their reasons for coming and which topics they are especially interested in. 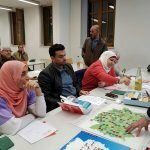 This was followed by a discussion about challenges of integration in Germany. After the lunch break, the lecturer gave some basic information about Germany and also left lots of space for questions and discussion so that a lively discussion could emerge about the topics geography, population, society, economy, and history, especially about the GDR and reunification of Germany. 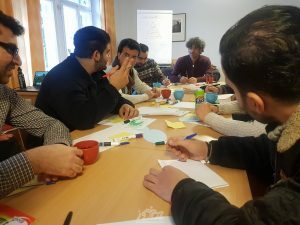 Eventually the group talked about similarities and differences between western and middle-eastern societies and about the question of how to integrate themselves into the German society. The second day was opened by a collection of ideas about the meaning of integration. The presence of a German made it possible to draw interesting comparisons between the different opinions. The next topic were social relationships in Germany and the participants’ home countries. How are the societies structured? What kind of cohesion exists in a German family? Which rights to women and children have? What are differences in raising children? This day ended with a comparison of German customs and habits with those of the Middle East. 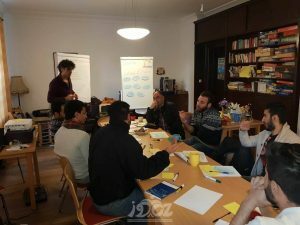 On the third day, the participants got to leave the seminar room and go to the city center of Leipzig. 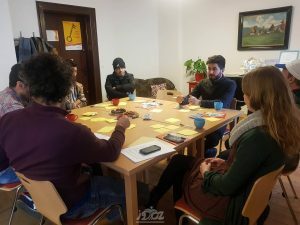 Led by the pedagogue Andie Rutzen, the group dealt with the topic “Peaceful Revolution of 1989 in Leipzig” and visited important historic places like the St. Nicholas Church (Nikolaikirche).